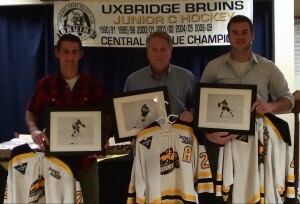 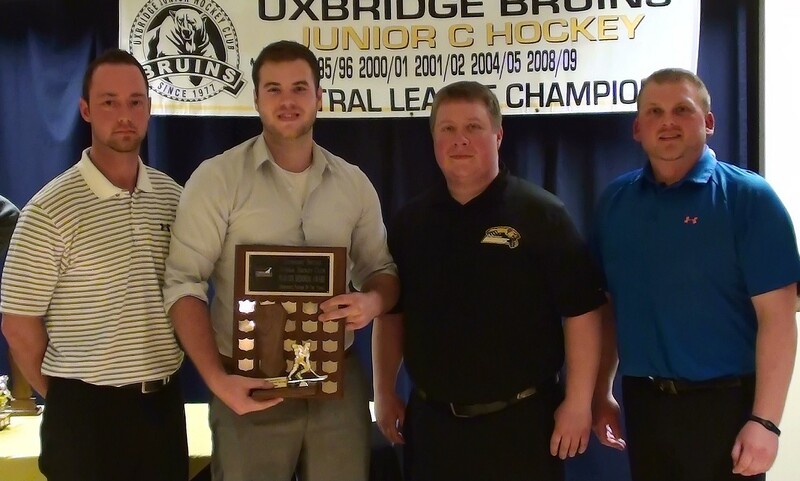 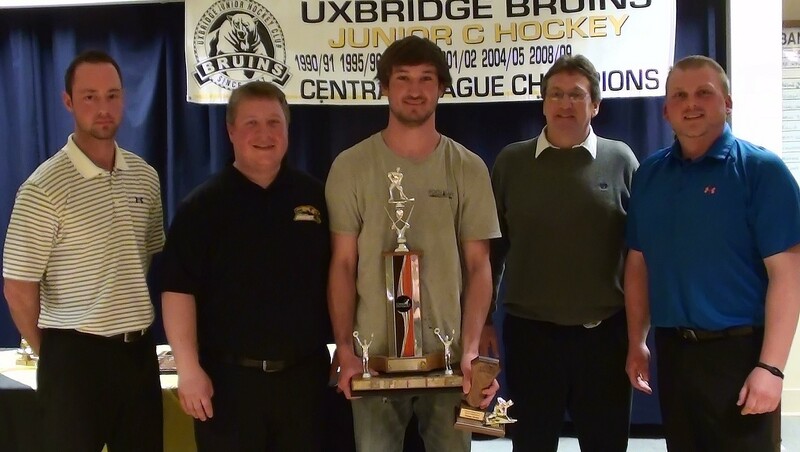 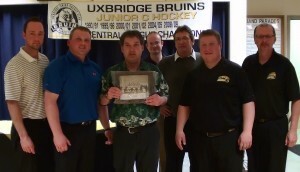 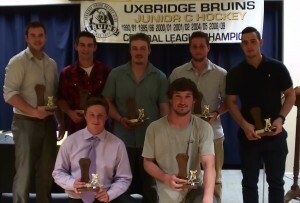 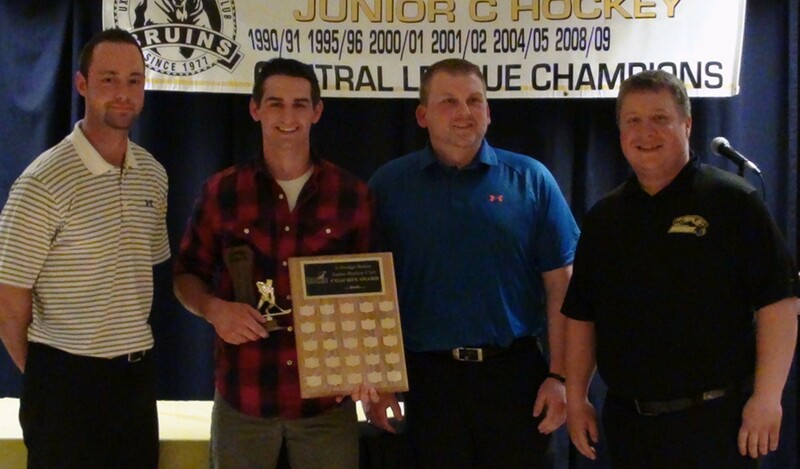 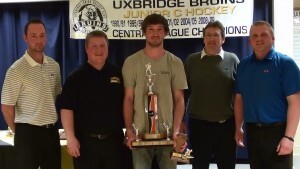 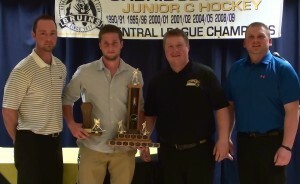 The Uxbridge Bruins held their Annual Banquet Awards on Fri May 1/15. Aside from the awards presented by the Coaching staff of Geoff Hodgkinson, Drew Langlands and Warren Cooper, parting gifts of their sweaters and a framed action shot picture (Courtesy CoxLynn Farms) were presented to our over aged players. Corey (Stumper) Stemp is presented with a Team Picture and received a standing ovation from the room of players, staff and parents. 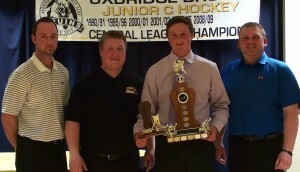 Comments Off on Essex 73’s Capture Schmalz cup! 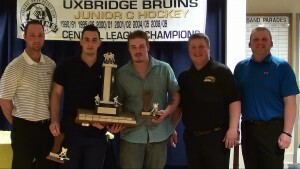 Essex 73’s Capture Schmalz cup! The Port Hope Panthers came back from a 3-0 deficit in games to force a game 7 in their barn but came up short as the 73″s Captured the 2015 Schmalz Cup with a 1-0 win tonight. 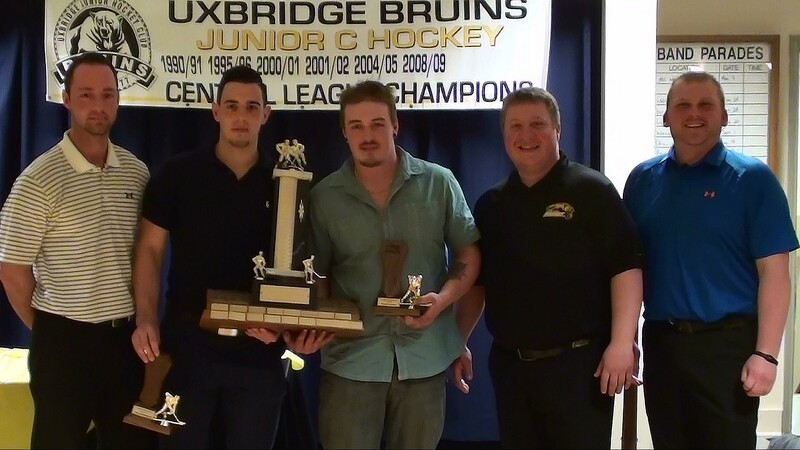 Congratulations from the Uxbridge Bruins to the Essex 73’s Organization on their Championship Season and also to the Port Hope Panthers on a great season.